It may be just 31 miles south west of England's Second City Birmingham, but Worcester has an identity all of its own. And it's that rural, regency feel fused with the transport links of a modern city and great schools that has seen families flock to the cathedral city. Known for Worcestershire Sauce, the city of Worcester is just as unique... as we discover here. 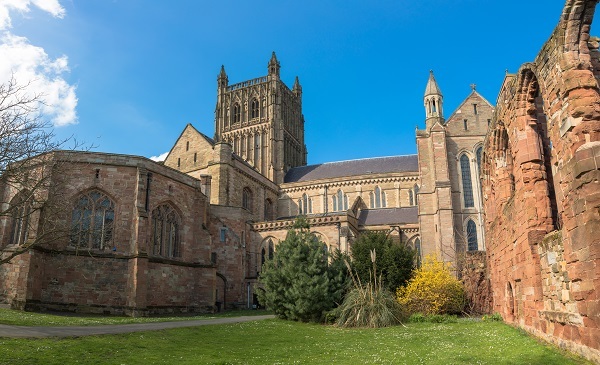 Buyers opt for Worcestershire for its period charm and green space of the Cotswolds and Malvern Hills, with many families drawn to Worcester for its rail and road links, as well as great schools. It's not all peace and tranquility, though. Worcester has a lively city centre for those who desire it, with plenty of pubs and shops to satisfy the whims of nightlife and retail therapy lovers. There's plenty for sports fans to get excited about, too. The Worcester Warriors ply their trade in rugby union's top division, the Guinness Premiership, while Worcester City FC are in the National League North. Worcestershire county Cricket Club, meanwhile, is based at New Road in the city and has produced such luminaries as Sir Ian Botham, Basil D'Oliveira, Graeme Hick and, in more recent years, England all-rounder Moeen Ali. Worcester races attracts fans of National Hunt racing between May and October. Fans of Regency style homes have plenty of choice in central Worcester, while Georgian properties also feature heavily. Several new developments have also provided the city with a good stock of more modern properties alongside larger 1930s family homes. 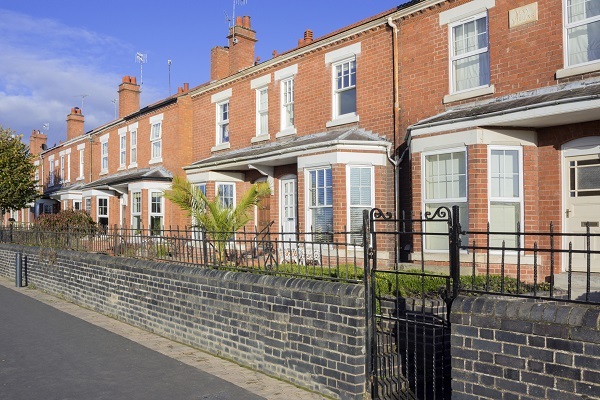 The majority of Worcester properties sold in 2018 were semi-detached homes with an average price of just under £220,000, according to Rightmove. Terraced homes command an average price of £191,148, while larger detached properties fetch £340,856 on average. Worcester property prices have held up well despite Brexit-fuelled economic uncertainty and were 4% up on 2017 prices. 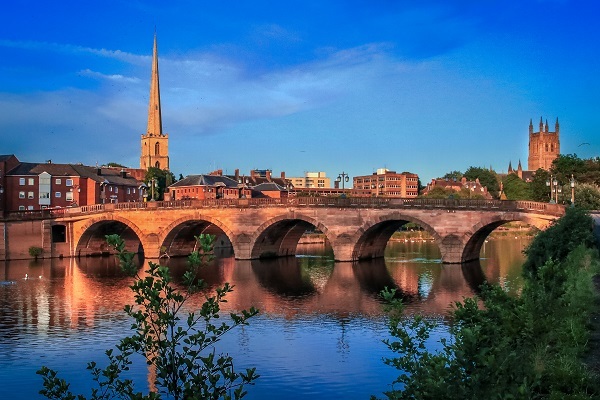 According to Zoopla, flats in Worcester command an average of a few pounds under £160,000, while many one and two-bedroom examples are available to rent for between £450 and £720 per month. Worcester's rail links into Birmingham are a huge attraction for commuters wanting away from the big city. Trains from Worcester Foregate Street arrive at Birmingham New Street in a brisk 45 minutes, while London Paddington is accessible in around two hours. But it's the roads where Worcester's proximity really shines, with the M5 north into Birmingham and south to Gloucestershire and Bristol, via the M4, particularly appealing. The A40 into Oxford can also be picked up from the M5 southbound. Those looking to escape further afield can do so to places like New York from Birmingham Airport, which is a 50-minute drive away. Many Worcester residents use the city's commuter links to reach work in other towns and cities, but those working more locally are backed by some large employers in the city itself. Boiler company Worcester Bosch employs around 1,000 people at its Worcester HQ, while engineering firm Yamazaki Mazak has a staff of around 500. Other large employers include the University of Worcester and Heart of Worcestershire College. When it comes to education, Worcester really is right up there with the best. No fewer than seven schools in the city were given the prestigious five-star rating from schools guide.co.uk, including five primary schools which sat proudly alongside The King's School and Royal Grammar School Worcester. St George's Catholic Primary and Claines CofE Primary are rated 'Good' by Ofsted, while Pitmaston Primary is 'Outstanding'. As well as three main undercover shopping areas in the CrownGate shopping centre, Cathedral Plaza and Reindeer Court, Worcester also hosts many independent shops and retailers, many of which are based in the old Tudor buildings that adorn the city centre. High street brands feature heavily in the CrownGate shopping centre, with Boots, House of Fraser, Debenhams, Primark, Game and New Look all present. The city centre also hosts a variety of markets throughout the year, selling local produce and, almost certainly, the odd bottle of Lea & Perrins! If you're looking for somewhere to stay all night, The Olive Branch on Church Street in the city is a great option. Set over three floors, the restaurant serves rustic, Mediterranean food, while the downstairs is now a cocktail bar, perfect for some post-dinner drinks to end the night. For those who prefer a pint with their meal, The Blue Bell at Callow End is worth a visit - particularly for its much-lauded Sunday roast. The pub also serves a variety of larger, ciders and cask ales. With the Cotswolds on the doorstep to the south, there's no excuse not to enjoy the glorious outdoors when you live in Worcester. And if history ticks your boxes more than the various sport on offer in the city, Worcester Cathedral is a stunning example. In the summer, there are wonderful views across the city from the cathedral's tower. There is also the Greyfriars House and Gardens, which is a step back in time to medieval days and boasts a stunning walled garden to relax away the hours. The Worcester Music Festival, meanwhile, runs for three days in September and features hundreds of gigs by new and emerging bands and artists. As well as several indoor soft play sites and bowling alleys, Worcester's Odeon cinema is home to seven screens for when the weather is decidedly British. But when the sun is out, Worcester's open spaces really come into their own with the children. Worcester Woods Country Park has two adventure play parks and ancient woodland for the little ones to explore, or grab a loaf of bread and feed the ducks at Gheluvelt Park close to the River Severn in Barbourne just north of the city centre. If you are thinking about moving to Worcester, take a look at our available properties or chat to the CJ Hole Worcester office who will be happy to answer any questions you may have on the area. *Prices according to Rightmove, March 2019.